Electronic cigarettes are following in the footsteps of their smoky predecessors, as they are becoming increasingly banned around the country. 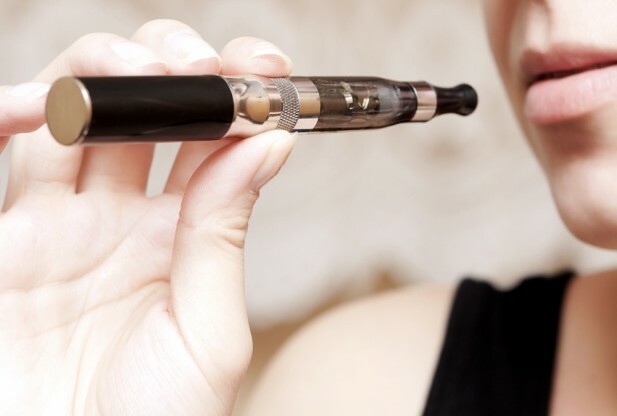 The issues creating the controversy about the e-cigs include the sketchy marketing targeted at the youth, the potential unknown risks and safety hazards, the lack of legislation blocking the selling of the product to minors, and other regulation issues. Many states, cities, counties, school districts, and other entities have taken action against the electronic cigarette, but the information pertaining to each state, or entity, can get quite confusing. Some states have laws that restrict the use of e-cigs in 100 percent smoke-free venues. In Utah, New Jersey, and North Dakota the use of e-cigs is banned in these venues including: non-hospitality workplaces, restaurants, and bars. In North Dakota, they are also banned from gambling facilities. In Utah they are permitted in retailers’ places of business who sell the electronic cigarettes until July 1, 2017. For other states the laws are even more specific. In Arkansas the product is banned from use on school district properties. In Colorado, tobacco products have been redefined to include e-cigarettes for the purpose of prohibiting them on school properties, unless it was approved by the FDA as a cessation device. In the state of Delaware, e-cigarettes are prohibited from all state workplaces. This includes indoor and outdoor places, buildings, facilities and surrounding grounds, parking lots, and vehicles owned by the state, and operated on state workplace property. Hawaii has banned the product on all Department of Health properties and Maryland has banned them on their MARC commuter trains. New Hampshire prohibited the cigarettes in public educational facilities and their grounds. In Oklahoma, the product is not allowed in any Department of Corrections facilities, which includes grounds and vehicles. Oregon state employees are restricted from using them in state agency buildings and on the grounds next to the buildings. South Dakota prohibited their use in Department of Corrections facilities and the grounds, by employees and inmates. In many states where there is no state law against e-cigarettes, local laws are increasingly banning them in 100 percent smoke-free venues, such as work places, restaurants, bars, and gambling facilities. Certain counties in Alabama, California, Florida, Georgia, Idaho, Indiana, Kentucky, Louisiana, Massachusetts, Missouri, Mississippi, South Carolina, New York, Texas, Washington, and West Virginia have bans in place. In Coconino County, Arizona the electronic cigarette is banned in public places, but the ordinance only applies to unincorporated areas. Several cities in Texas have recently banned the product in certain places. This month, an ordinance was passed in Bedford that banned them in areas where smoking is already prohibited. Georgetown, Texas also banned the use of any electronic vaping device in public places, and areas that originally prohibited cigarettes. The new ordinance also bans the sale of the products to minors. Other cities restricting the use of electronic cigarettes in public places include big cities like Chicago, Philadelphia, and New York City. The ban in New York City got a reaction from Citizens Lobbying Against Smoker Harassment (CLASH). The group recently filed a lawsuit aimed at overturning the city’s ban on e-cig use in public. The restriction in Philadelphia treats e-cigs just like regular cigarettes, including prohibiting the sale of them to minors. Los Angeles also joined the list of big cities with an e-cig ban. In L.A. the products are banned in public places, except vaping lounges and 21-and-over nightclubs and bars. The ban is definitely catching on across the country, as the electronic cigarette is increasingly banned in a variety of places. Petco Park in San Diego does not allow the smoking of e-cigarettes inside the ballpark. A committee at Louisiana State University has voted to recommend e-cigs be banned from the campus. The banning trend will seemingly continue, as the electronic cigarette is treated more and more like traditional cigarettes, and legislation is worked out to regulate the product. 10 Responses to "Electronic Cigarette Increasingly Being Banned"
I have many, but don’t want to bore you. I’m 67 years old an started smoking cigs at 14. I can only tell you that I’ve been looking for a way to quit the coffin nails for a long time. Finally I tried e-digs. What a blessing they’ve been. I tried them in 2010 and haven’t picked up a cig nail since. I can breathe freely again, no stink in our car, I’ve been exercising, have more strength, and people can tolerate being around me. I could go on and on, but I want to say this: the comments posted are absolutely correct. When big big companies get involved it’s the same old story. Follow the money trail. The tobacco and liquor lobbies prevented marijuanna from being legalized in the 1960’s til now. (and believe me, they’re watching the states where it’s legal to see if they can come up with something to create public outcry and panic). Well, by the grace of God (or can I say God, oh well I just did). Anyway I know longer am addicted to the 400+ chemicals in cancer sticks, and alcohol left me lying in puke. Sorry for all the blather, but I saw a place to vent. I think I’ll sit back and vape a while. I wish everyone the best. Great comments indeed. In June 2013, the U.S. Food and Drug Administration (FDA) issued Advisory No. 2013-015 which stated that electronic cigarettes are not emission-free. E-cigarettes contain volatile organic substances, including propylene glycol, flavors, and nicotine, and are emitted as mist or aerosol into indoor air. The advisory also noted that if several people are using e-cigarettes in a room at the same time, considerable indoor air pollution will accumulate and may result in harmful second-hand exposure. Thank you for your email. Second hand smoke policy and regulations is set by individual states and not FDA. Please contact your local state and/or local health department to inquire about what bans are in place in your area. Woohoo, go tobacco companies!!!! Kill us all, because you’re losing money. I hope one day E-Cigarettes aren’t treated like real cigarettes, because eventually they’ll start banning humidifiers for looking like gigantic E-Cigarette devices, and everyone is scared to see a giant cloud of (SMOKE?) water vapor. Another win for the cancer sticks in reducing the number of smokers switching. I think banning the e-cigs is just ignorant.i mean you say breathing anything but fresh air is bad for you but we don’t really even know what fresh air is anymore. Like they said it has the same ingredients as the products you use every single day quit reading research on the first e-cigs from years ago and read the studies on the ones that are bring marketed now. There’s a lot more data on them than all the politics would have you believe. I mean I have started using them just here recently and I think its wonderful I can already tell the difference in so many ways and they don’t stink at all so you can’t possibly be worried about the smell. And as for seeing it then don’t look bc frankly I don’t like people staring at me any way lol. I mean you sound like some one saying oh I don’t like sodas they r bad for you and I shouldn’t have to see them or hear the fizzing of you opening it. I mean really people give it a break there are more important things in the world it’s not like we are all lighting up a crack pipe next to you or something its water vapor for god sakes you breathe when it rains dont you and I mean do you honestly think you know what your breathing then because 99% of you really probably don’t js. So the people thay just want to breath in clean air have no rights? One of the main ingredients in that vapor is the main one in anti freeze. The vapor is not as bad for you but it’s not good for you. Doctors say that breathing in ANYTHING thst isn’t fresh air id bad for you. It should be treated like a normal cigarette. It shouldn’t be sold to minors and shouldn’t be smoked anywhere you can’t smoke. It’s the only thing that makes since. Everyone has thrre roghts, it’s ypur right to smoke and its my right to not have to smell it, breath it, see it, or deal with it all together. These bans and push for more stringent legislation is funded by the cigarette lobby. E-cigs are cutting into their profits, so they think. EDUCATE yourselves before you start banning the best solution available to saving lives from smoking. There is NO,0%,NADA,ZILCH,ZIPPO second hand negative affects from the vapor of an Ecig. They DO NOT use any form of tobacco in them. They DO NOT burn anything which is where the tar comes form your cigarrettes. They are a very good alternative to smoking and also a tool to be used to help quite smoking. Get a clue idiots, then wave your mighty scepters and spout your mighty laws. You just dont get the fact that you are killing more people by driving them away from ecigs. Or maybe that was your plan all along??? I switched from tobacco cigs to an e-cigarette. Vaping is not the same as smoking. There’s no secondhand smoke. The main ingredients in e-liquid are vegetable glycerin (VG), propylene glycol (PG), water, flavoring and liquid nicotine. These ingredients (not the nicotine, of course) are found in toothpaste, asthma inhalers, and other products we use daily. Compare that to tobacco’s 4,000+ cancer causing chemicals. The difference is obvious! These e-cigs give 42 million U.S. smokers with another option for nicotine and a good way to eventually stop nicotine use. Many people use e-liquid without nicotine because they like the taste of flavors. Some people, like me, order a nicotine level between 0mg-24mg. The average person uses 6-12mg nicotine, and I decreased from 12mg to 6 mg with plans to stop altogether in the next few months. If you visit the online retailer where I buy mine http://www.southbeachsmoke.com you’ll see the e-liquid ingredients and how it is sold. Best decision I ever made.